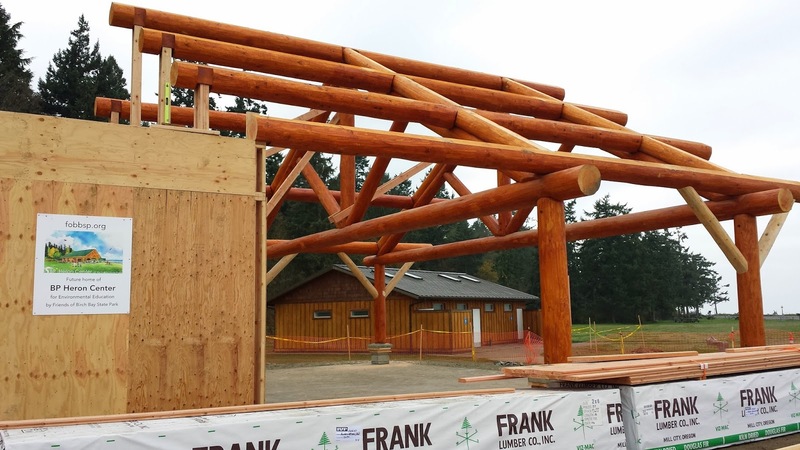 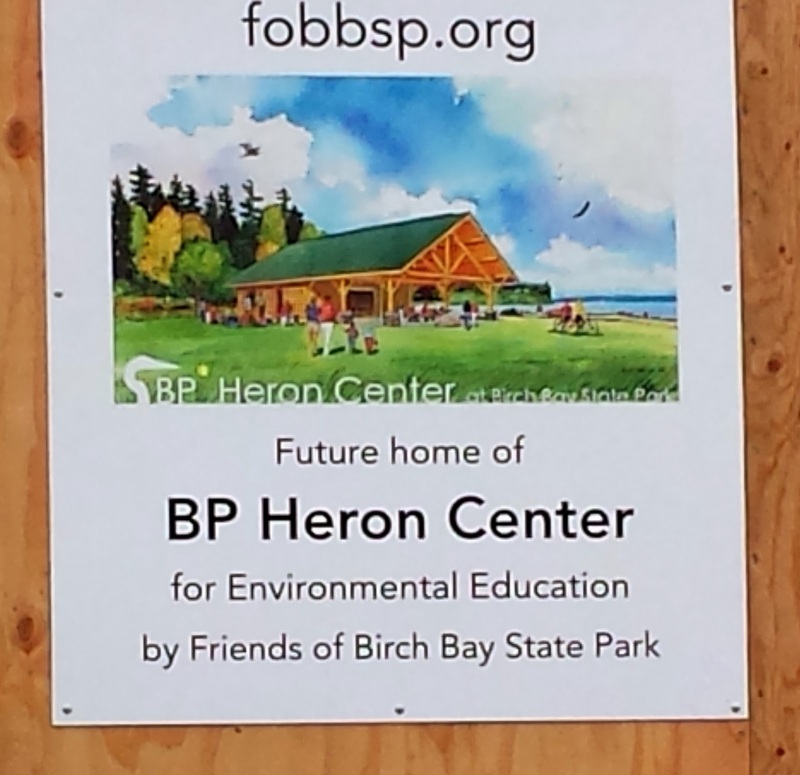 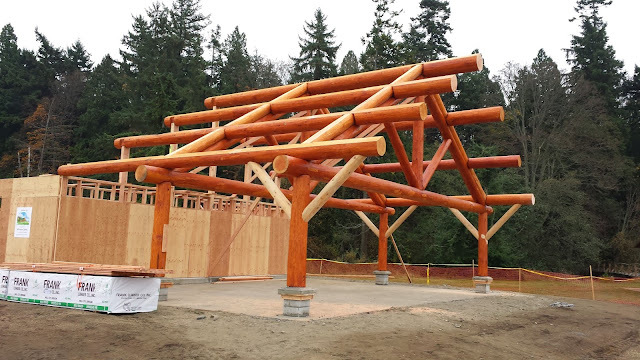 Eclectic (at Best): Progress on Birch Bay State Park's New "Heron Center"
Progress on Birch Bay State Park's New "Heron Center"
When I last checked a week ago, construction of the "Heron Center," a log cabin and roofed patio area, was moving forward smartly in Birch Bay State Park. This building, located between the park's large northern parking lot and restrooms, will serve as an education center for the park. It has an intelligent and attractive design, and it is built in a location that did not require additional removal of trees, play areas, or other valuable park amenities.